Subject: It's time to engage them...and keep 'em in your site! ...But unfortunately, visitorsleave really quick - as quick as the blink of an eye. I know that it's certainly frustrating when you see how visitors decide to exityour site extremely fast. I'm sure that you, at some point, also experienced this feeling. And get more subscribers, more visitors and make more money from your blog. This meant, people would land in my blog, spend a few seconds and then immediately leave. I was puzzled and almost a bit concerned because the quality of my blog was outstanding - with great content and information. They were using the power of simple Facebook quizzes to get their audience engaged. Naturally, the next thing I did was logical. I hired a skilled and experienced WordPress guru to create a WordPress plugin that would allow me to put an end to visitors leaving my blog. In just a few weeks I had the first version of the plugin in my hands, and after extensively testing it through different blogs of mine, I was shocked. I experienced a massive decrease in my bouncing rate, visitors would stay longer in my blog, and the best thing was that I even saw an increase in my revenue! Now, for the first time I'm going to give you the opportunity to own the exact plugin that allowed me to engage my visitors! With "WP EZ Quiz" you can easily create fun, entertaining Facebook quizzes - with just a few clicks of your mouse! Multiple answers to questions You will never be limited as to the number of answers or questions. Dead-easy to install AND to use No more headaches. 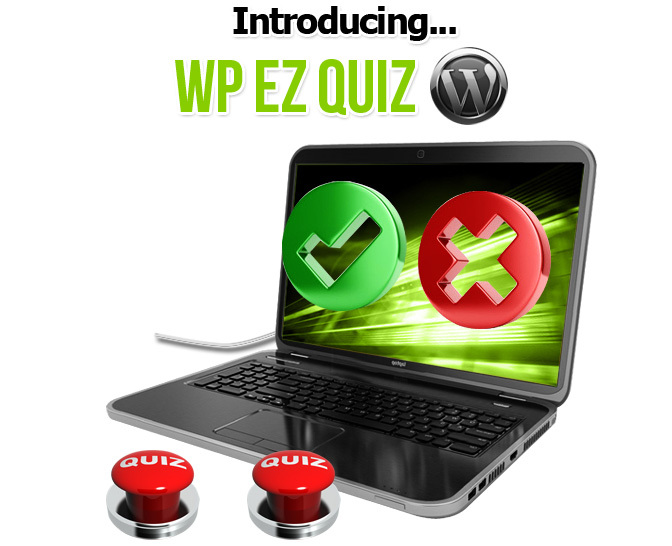 In a few seconds you can install "WP EZ Quiz" and start unleashing its power! Timers option included You can easily set up timers for each quiz to make things more exciting! Possibility to choose several answer types such as - single possible correct answer, several possible correct answers, all correct answers and also no correct answer. Create as many quizzes as you want - Again, there's NO limitation as to how many quizzes you want to create! Responsive Design The latest trend is responsiveness. "WP EZ Quiz" will be correctly displayed in iPhone, iPad, Android and any type of mobile device! And many more exciting options! Listen, there's no need to watch in despair while visitors decide to exit your blog and spend their time elsewhere. I'm handing you the exact WordPress plugin that I'm using and that's going to help you to get more subscribers, money and visitors to your blog. ... And it's so easy to use it that you won't believe it! 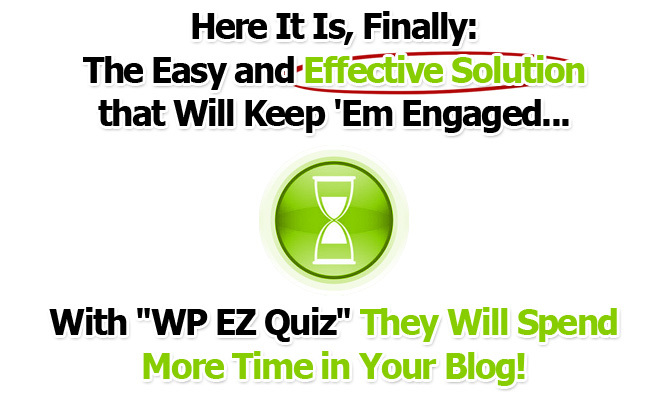 I will also allow you to test-drive and see if "WP EZ Quiz" is for you. 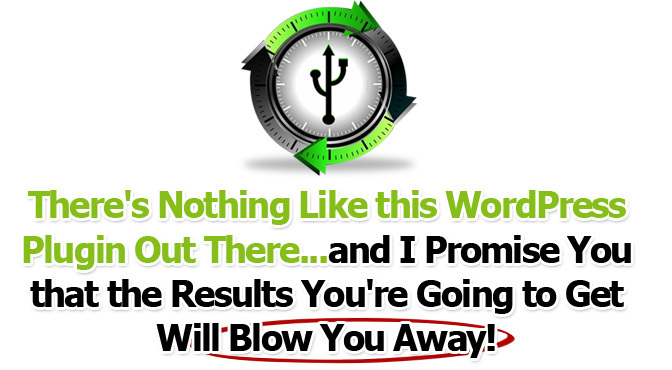 Just download it NOW and try it for 30 days, and if you're not satisfied with it all you gotta do is send me an email. I will promptly refund your money *without* asking questions! Go ahead and download "Tiger WP EZ Quiz"! Thanks for reading, and see you on the inside! PS. You're protected by my money-back guarantee. Remember that if you're not satisfied and if "Tiger WP EZ Quiz" does not live up to your expectation your money will be instantly refunded. There's NO risk here! With TTiger WP EZ Quiz Lite version you will be able to use and test many premium features of the plugin.